Dr. Angela Figueroa, NEEDS’ founder (retired), became a parent herself with the help of a surrogate. 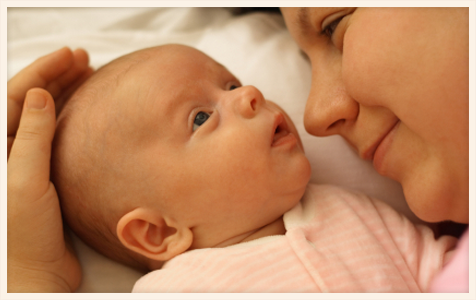 Since 1992, numerous NEEDS clients have been able to become parents through a surrogate carrier. This section provides an in-depth overview of the NEEDS surrogate gestational carrier program and how a surrogate affiliated with NEEDS can help you fulfill your dream of having a child. The process of working with NEEDS to find a suitable surrogate and becoming a parent via gestational surrogacy is straightforward. Following are the eight steps involved. First, you complete the intended parent registration form online. You immediately will be provided a secure access to our surrogate database. With your username and password, you then can search our online database of all available surrogates to locate a surrogate that meets your desired characteristics. You can organize your search using search criteria to limit the results to those surrogates most closely matching your requirements. NEEDS can also conduct a custom surrogate search on your behalf based on your ideal criteria for a surrogate gestational carrier. Once you have selected online one or more potential surrogates, and ranked them according to preference, NEEDS will notify your first surrogate choice to confirm her interest and availability as a carrier. Your biographies will be provided to her for her review, and she may ask additional questions about you. You then will be contacted to confirm your surrogate selection, and the surrogate will be "placed on hold" (i.e., will not be available to other aspiring parents). Once you have selected your choice of a surrogate carrier, NEEDS will then schedule a telephone conference call with you (the aspiring parents) and the surrogate. If the initial telephone meeting is successful - if you and the surrogate remain interested in proceeding with the process - then you will be asked to send in the signed agreements and fee. Once you've finalized your selection of a surrogate, you will print out and sign NEEDS' Surrogate Gestational Carrier Agreement and Acknowledgement of Intended Parents documents along with a check for the balance of the NEEDS' fee. We request that you return the agreements and payment within three (3) business days of your selection. The purpose of this request is to ensure fairness to the surrogate candidate and to other aspiring parents who may be interested in her as a gestational carrier. Once the agreements and fee are received by NEEDS, the identifying information on both parties will be released. NEEDS will then ask that you schedule an in-person meeting with the surrogate to further get to know each other. Once you agree to work together, the surrogate will be asked to meet with a licensed psychologist for an assessment of her mental and emotional readiness for the surrogacy process. This evaluation will be paid for by you, the aspiring parents. The fee for the service of carrying and delivering your biological baby is determined by the surrogate gestational carrier. Although being a surrogate is a priceless gift, most surrogates request - and most aspiring parents expect to compensate - $25,000 for a single birth and $30,000 for twins, in addition to expenses. Once you agree upon a fee with the surrogate, you and your lawyer will present a contract to the surrogate. The surrogate will then meet with an attorney of her choice, paid for by the aspiring parents, who will review the contract with her and negotiate any changes with you before all parties sign. Note that the legal contract involves you and the surrogate - not NEEDS. However, NEEDS will be involved and available as an advisor to the intended parents and the surrogate throughout the gestational surrogacy process. The medical procedure for the surrogate gestational carrier is similar to having a pap smear and in most cases is pain-free. The surrogate's menstrual cycle and the menstrual cycle of the biological mother will be synchronized using daily injections of Lupron. The surrogate will also be taking Estrogen prior to ovulation, and the biological mother will be taking daily injections of fertility drugs. The development of the biological mother's eggs will be monitored by daily blood work and ultrasounds. The thickness of the lining of the surrogate's uterus will be evaluated using blood tests and ultrasounds. Eggs are then retrieved from the biological mother (the procedure is non-surgical and generally requires only a mild sedative to relax the mother). Three days after the eggs have been retrieved and fertilized with the sperm of the biological father, the physician will transfer the embryos to the surrogate. The procedure is completed under sterile conditions. Depending on the physician, the surrogate may then begin progesterone injections. A pregnancy test will be taken in approximately 10 days after the transfer of embryos to the surrogate. Once pregnant, the surrogate will carry your healthy baby (or babies) to term, maintaining a close, personal relationship with you throughout the process until delivery. Register Now as an Aspiring Parent.